Sometimes your friends invite you to a random, free, early morning 5k fun run and you whine about it for hours and stay up late the night before and then just HAPPEN to wake up on time to go. So you go, hang out with some great people, and get a good run in that makes you feel great about your running goals for the year, because your mile splits were decent considering this was your second run since September. 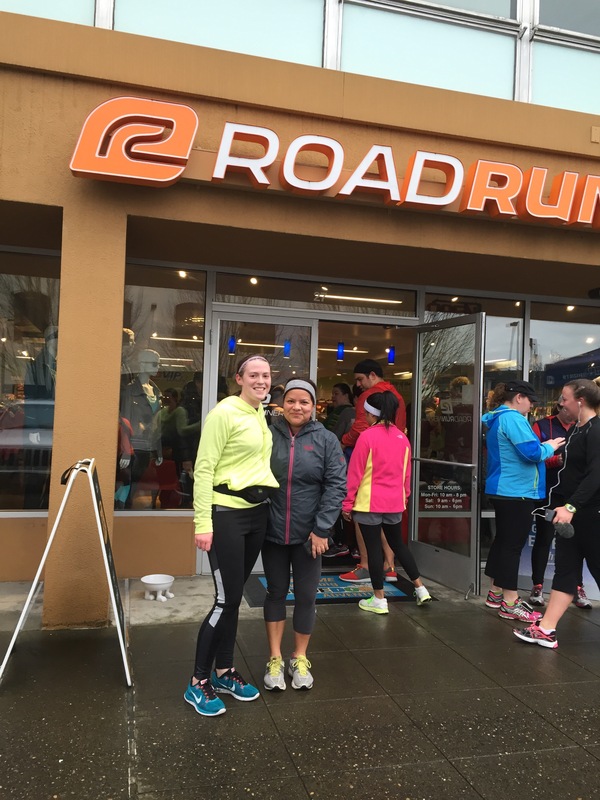 The Roadrunner in NW Portland was celebrating their one year store-iversary this morning, and held a free 5k group run with goodies and giveaways and all that jazz. When I wrenched myself out of bed and out the door in time to pick up my friend Angie, there was a nice, cold, steady drizzle happening. I was wearing fleece, because I’m a total n00b when it comes to cold/wet weather running. But I sucked it up and used the thought of a scalding hot shower to motivate me. Running through NW when it was early and quiet was delightful even with the rain; this is one of my favorite neighborhoods and we ran some back streets so I found some new bars and coffee shops. We got back to Roadrunner, drenched but feeling good. Some friendly chaps saw us taking selfies and offered to take a picture for us “because we HAD to get one under the Roadrunner sign.” Then we went inside for free mimosas and beer and bagels and fruit and infused water and waffles shaped like Nikes with the signature swoosh, because Oregon = Nike. We refrained from the waffles because we had run past Stepping Stone Cafe earlier and decided we earned us a REAL breakfast. This is said real breakfast. And DAMN it was good. 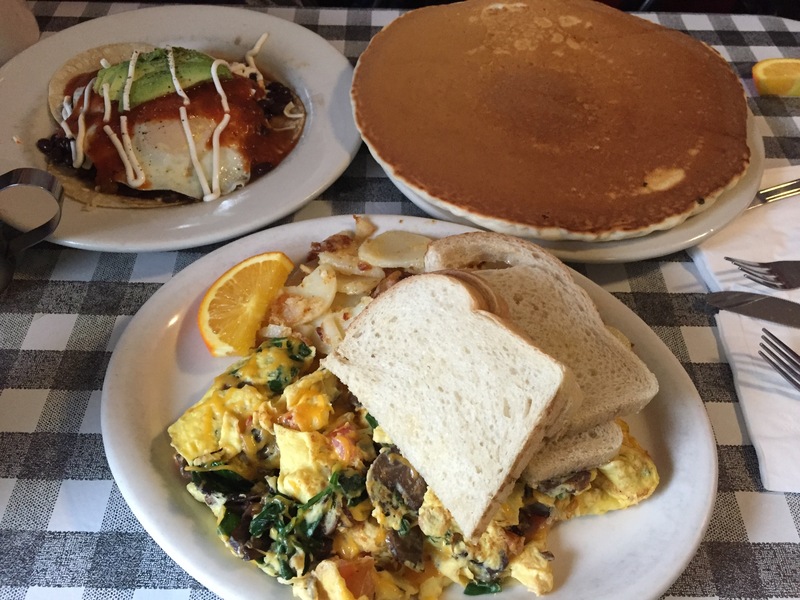 Angie had huevos rancheros, I had a veggie scramble, and we split a “mancake,” which was probably the best pancake I ever had. 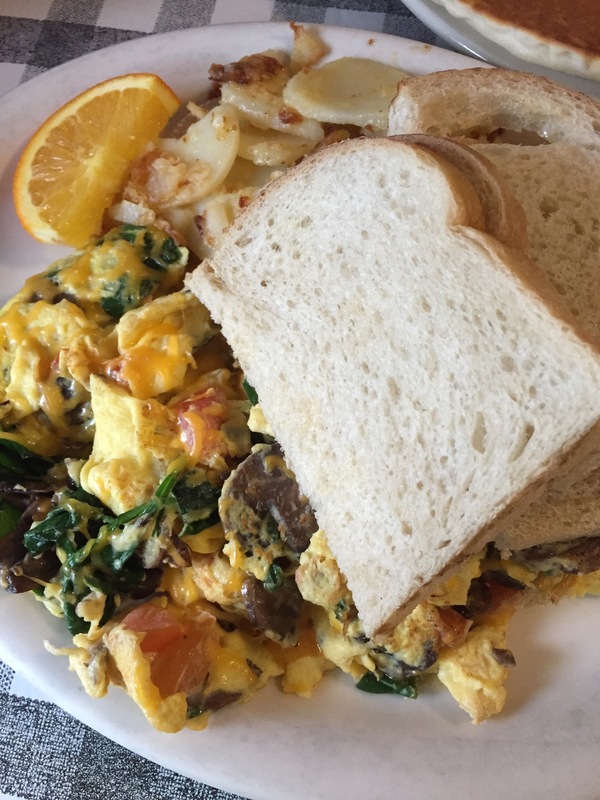 I had never been to Stepping Stone but I will for sure be returning soon because I wanted to devour their entire breakfast menu. Plus their motto was “You eat here because we let you,” and I like my breakfast to come with a little side of attitude. The cafe itself was tiny and cozy and I LOVED it because it wasn’t pretentious, like some breakfast places can be around here. It was just delicious food and good coffee on a rainy little corner of NW Portland. I’m excited to eat my leftovers tomorrow morning. My scalding hot shower was worth the wait, by the way. Plus Husband had already showered so I got to hoard the hot water. Now I’m lounging in my bathrobe, cheering on my Seahawks (it’s a big week for northwest sports, with the college national championship game) and waiting impatiently for the beef curry I made to finish cooking low and slow in the oven. Perfect Saturday? Pretty close anyways. I’m still riding high on endorphins. Happy New Year! How is it 2015 already? Where did my 2014 go? This holiday season was an absolute blur. Getting used to my new job and new commute, balancing Christmas with my parents and hubby’s parents, my birthday, back to work, parties and treats and presents and family fun! 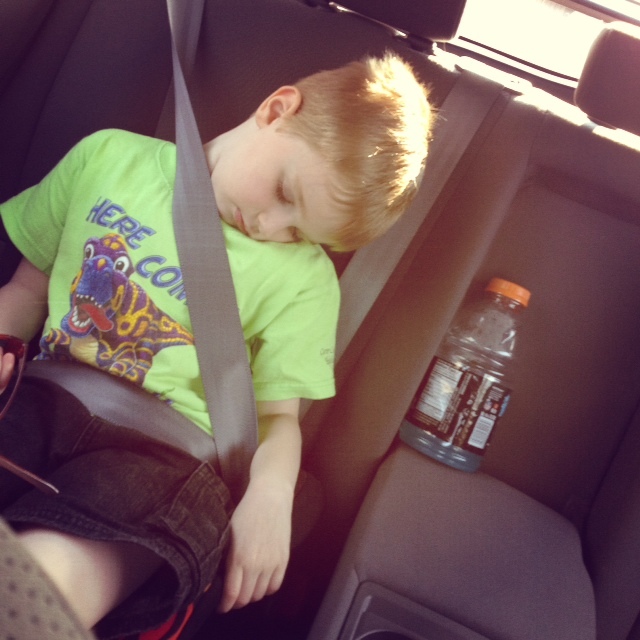 It leaves a girl exhausted (probably why I’ve been sleeping in every weekend). But I’m ready to take this new year by the horns! For starters, we’ve managed to keep our first floor clean since Christmas, which is a feat for us. We came up with a cooking and cleaning schedule that seems to be working, rotating meals and chores and throwing in a weekly date night. I also have an Erin Condren life planner headed my way, which, based on everything I’ve read, will just rock my world. I fully anticipate this thing to just completely change my life. After, sadly, failing the second part of the CMA exam, I ordered updated study materials (because obviously right after I fail the test they completely change it up and my $900 study system becomes instantly moot) and intend to pass at the end of May, with flying colors this time. Everything else is finished for my requirements, this is the last thing holding me back from those three oh so professional letters being added to my business cards. I’m also going to ease myself back into a running routine. My normal schedule has come back to me and sometimes I get home before it gets dark! (Changing jobs makes me feel like I’ve regained my sanity.) So yesterday we took the dog out for a short lap around the neighborhood and it felt good! I’m eyeing more races this year, and really have my heart set on Portland’s Rock & Roll half in May. I also have ambitious blog goals, but I’ve said that before. Crossing my fingers that I can develop some discipline this year and crank out some content that’s been percolating in my brains! I’m ready for you, 2015! I still don’t feel ready for Christmas, but I DO have most of my presents purchased, I’ve got one batch of cookies baked and frozen, and our tree still looks gorgeous. I also officially started my new job on Monday, so I’ve been a little distracted. I went from working at a manufacturing company that deals in renewable energy to a retail company known for their high quality children’s clothing. I underestimated the learning curve that comes with entering a completely different industry, but I’m LOVING my new situation (FYI, I fully intend on blogging some job interview tips…one of the few skills I am really confident in). My second day of work, I was challenged to a Nerf shoutout by the CEO, and I already feel like I’m doing some REAL work. Along with this new job comes a new commute. To downtown Portland. On public transportation. Everyone talked a big game like this was going to be horrible, but I’m choosing to view it as extra free time every day to read or dink around on my iPad. Or listen to Serial. 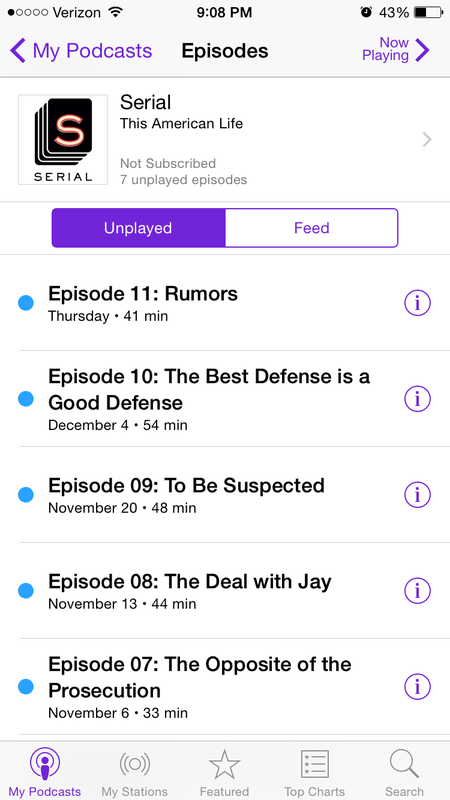 I’ve been reading about the Serial podcast for a while, since I’m an avid NPR fan. Serial is a 12-episode true crime story, basically. And considering I plan my Friday nights around episodes of Dateline (#Iheartkeithmorrison), it is right up my alley. I’ve binge-listened to 6 episodes since Monday, with 6 more to go, and I’m totally hooked. It is 100% living up to the hype for me. Have you listened? What do you think so far? I need to take pictures of my walk from the train station to my office. To me, there’s nothing better than a city in the early morning before it has really woken up that’s just magical. There are a few food carts serving breakfast. The sun is rising over the bridges and Mt. Hood. I might get tired of the commute eventually, but for now, I’m loving it. Plus we are moving offices to a place with free parking next year so it’s temporary. I think I’ve come to understand Thanksgiving more as I’ve grown. I’ve always loved Thanksgiving for the food (since my two main food groups are bread and potatoes), but the last few years especially, I love thinking about all I have in my life to give thanks for. This year, I feel like my list is especially long. First of all, I’m thankful for the new job I’m about to start (more on that later) but I’m also thankful for my little family and funyons, my health, my happiness, and everything about living in the northwest! Also for stuffing leftovers. Stay tuned over the next few days for updates of all my latest life happenings, as well as a few tasty recipes (I was in charge of dessert this year). 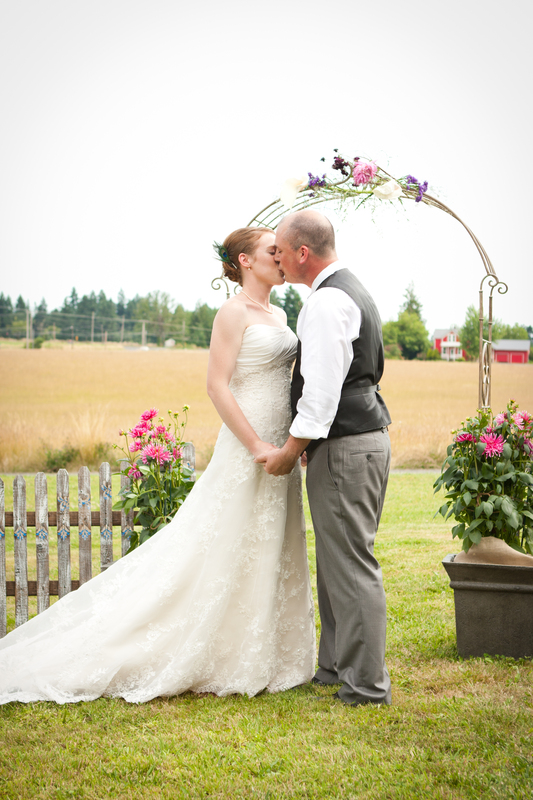 I’m thankful for YOU, for reading this blog! Life is trying its hardest to overwhelm me right now. I’ve been working 10-12 hour days at the office, then coming home and trying to tackle my messy house, some holiday crafts I need to finish, and decor DIYs that need to be done. I may not be the world’s most productive individual, but since this season of my life seems to be my busiest to date, I’ve been trying more and more to streamline my day and my time both at work and home, and thought I would share some of the things that have worked for me. Break It Up – For some reason, when I became a real working adult, I all of a sudden had the attention span of a fly. Like adult onset ADHD, if such a thing exists. I’m not good at concentrating on things for long periods of time. So I break them up into small, productive bursts. If my husband and I need to clean and are really unmotivated (or the Seahawks are on TV), we go all out during commercial breaks. Each commercial break, we get up and do something that needs to be done, like putting away the dishes, or folding the laundry. It’s amazing how much you can get done when you’re putting your full attention to it. 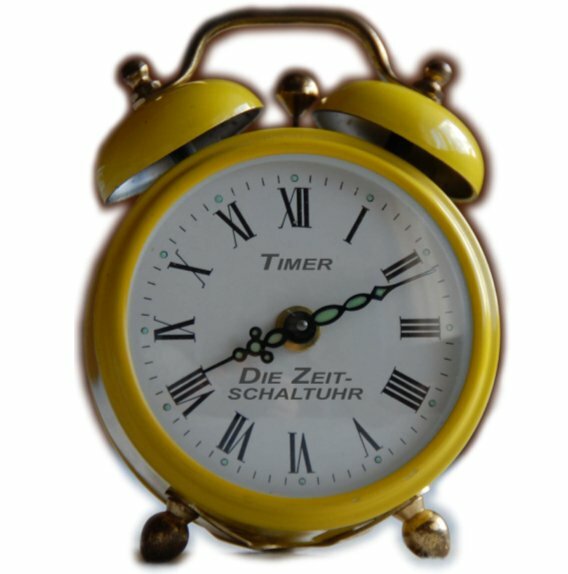 The Pomodoro Technique is a similar idea: work, short break, work, short break, work, longer break. Lists Lists Lists – There are a ton of list apps and fancy GTD (“get things done”) tools out there, but for me, nothing beats the good ol’ fashioned, hand-written list. During busy month-ends at work, I used to make really pretty and colorful lists with fun font and tape them to my desk. I love the feeling of checking something off of a to-do list, and I think it helps to keep you going if you can see that you’re making progress with your tasks. I carry around a small Moleskine notebook and am constantly scribbling down things I need to accomplish. But be sure to start new lists every once and a while. Adding projects upon projects will make you feel like your to-do list is never ending. Which it’s probably not, but you don’t need the constant reminders, amIright?! Evernote – To continue on the theme of “lists lists lists,” Evernote is the ultimate productivity app. I can access it from my phone. I can access it from my iPad. I can access it from my laptop. Everywhere I go, my lists are there. Which means every time my husband says something hilarious, it goes in a note. Every time my husband mentions something he likes which might make a good gift at some point, into a note. The best part is that you can share notes, so if you are working on a big project with someone, you can both keep up to date in real time. Also, you can add to notes with text, photos, video…anything! ALL THE MEDIAS! And you can take pictures that it will convert into searchable text, which was awesome a few weeks ago when I was trying to purge a bunch of cooking recipes that all had ONE recipe I wanted to try. There are so many capabilities that I have yet to take advantage of as well, I feel like I’m always discovering new things to do with this app. Try it out. It will change your life. Self-Bribery – I’m not afraid to admit that sometimes I treat myself like a child and bribe myself to complete tasks. When I’m really overwhelmed or have a lot of unpleasant things to do (aka housework), I set up a few small rewards in my schedule to keep me from getting burnt out. Say you want to get coffee with a friend. Force yourself to complete X/Y/Z before you’re allowed to leave the house, and you’ll feel more relaxed and present with your friend knowing that you knocked a few things off your to-do list. Treat yourself to an episode of Keeping Up With the Kardashians after you get that report done. Clean the kitchen and then sit down with your book for a while. Some people can do the whole “nose to the grindstone” routine for hours, but not me. Stay Irritated at Your To-Do List – One day, I came home, and my husband had plastered the house with post-it notes scribbled with home projects we need to do in each room. Now I look at that screw in the wall that came with the house and has no purpose, and I think “Yeah, why DO we still have random screws in our wall?” Whatever you choose as your reminder/annoyance, you aren’t allowed to get rid of it until that task is done. DONE done. So unless you LOVE looking at lime green post-its on your wall, you will get those things DONE. Bonus Tip – The Glee Pandora station. Does this really need an explanation? Don’t stop believing, people. kabbage.com offers quick loans (as in seven minutes quick) to help small businesses get off the ground, and are structured to be flexible, with low fees and instant access to funds via PayPal. Link your application to any of your online business accounts (Etsy, eBay, etc.) in order for Kabbage to access some of your business data and make an on the spot credit decision. Pay only for the funds you use, over a six-month period. They truly care about giving a hand up to the small business owner, rather than a hand out, so if you have an idea to grow your business that needs some funding, give Kabbage a try! I slept in today, the day of my nine-mile long run (it’s long for me anyways). I’ve been real bad with my sleeping habits lately. 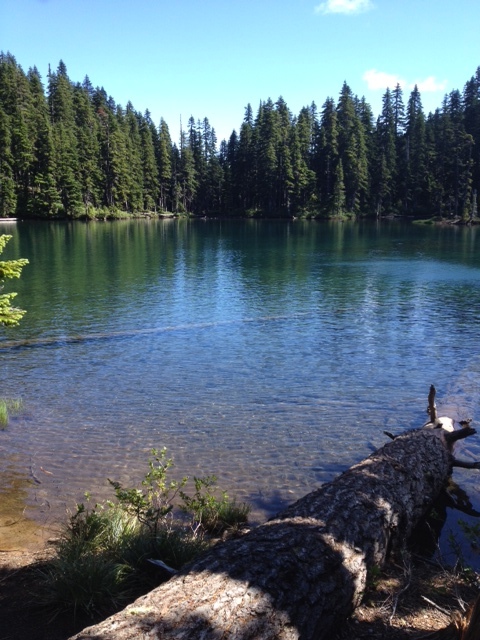 But, thanks to hubby, I set out at 10 ready to tackle the challenge, because it hadn’t gotten too hot yet. I made it. I wasn’t fast, but I was faster than my last long run, and kept my average mile pace under 13 minutes. I also did a sufficient amount of hill work, mostly because I was looking for a park with a water fountain so I could refill my running belt bottle. Pretty sure I will be emailing my local park & rec department about the serious lack of water fountains. I FINALLY started listening to music during my runs…I don’t know why I waited so long, because it helps SO much! Plus I can lip synch and amuse passers by. I loaded a few Rock My Run mixes onto my iPhone, which I use anyways for Nike+ Running, and jammed out for almost two hours. Though I did learn that the song “Selfie” makes me want to rip my ears off. I’m happy I forced myself out the door and did this run. I think it helped my confidence, because for some reason I just figured I would be passed out by the side of the road after 7 miles. I’ve never run that far. Less than four weeks to go until race day! 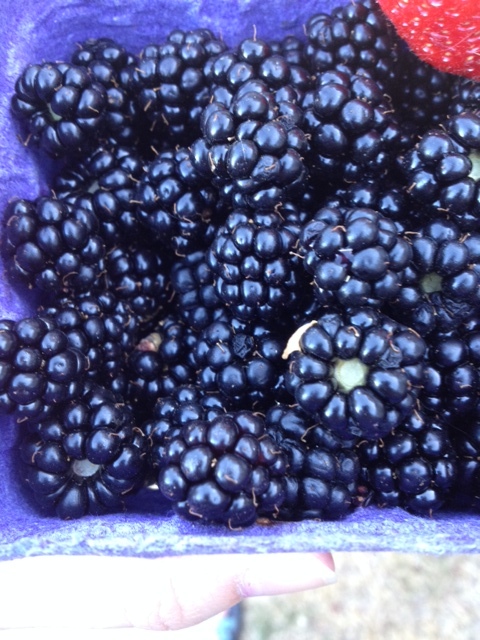 We also discovered that our front yard produces The World’s Best Blackberries Ever. I’m willing to deal with the blood loss from the thorns in order to harvest them. 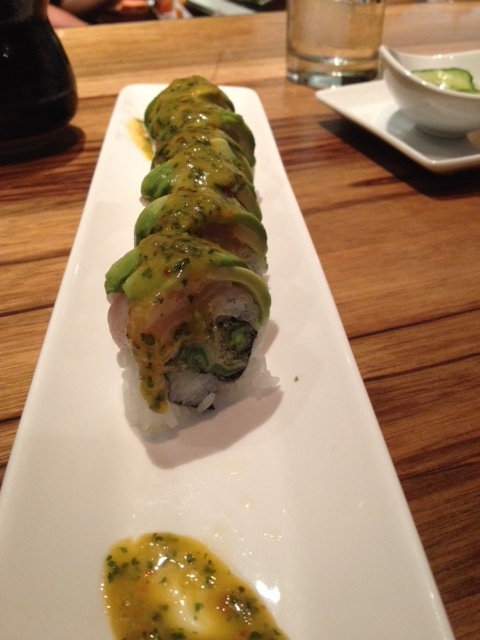 Holy noms. And that’s life for us lately. 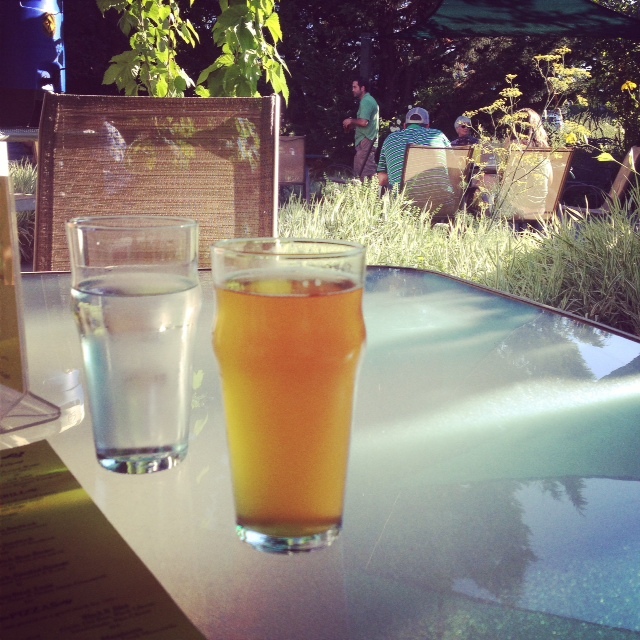 Soaking up the last bits of a hot, wonderful summer. What’s been going on with you fine folks? Runners – what do you suggest for adding distance and/or cutting time? I’ve really just been…running. So I’m looking for some training tips! I officially finished the first month of my 12 week half-marathon training, and I feel pretty great about how things are going so far. 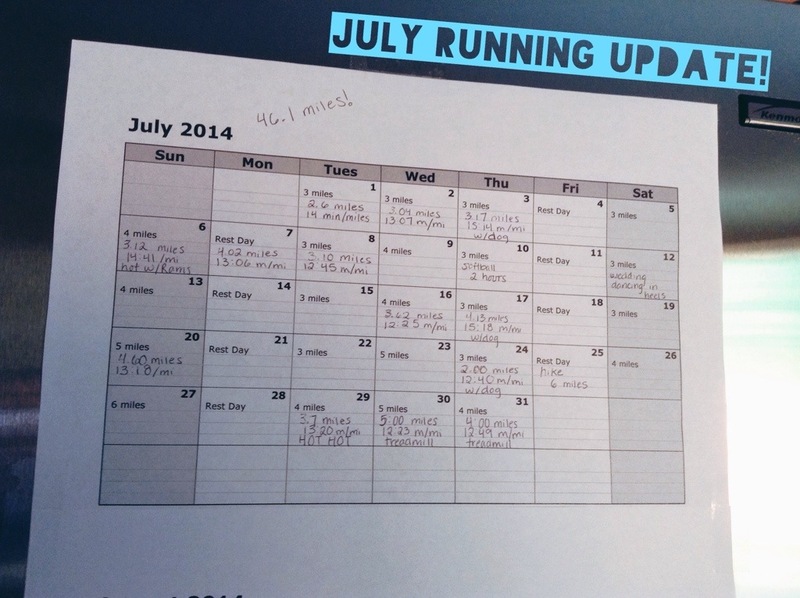 You can see from the calendar photo that I shifted around some rest days and modified things a little bit depending on how I was feeling (or how hot it was…it was really hot). But I ran 46 miles during the month of July, something I could never say before this. I’m still doing a run/walk mix, which will most likely continue through race day, but I’m getting better at limiting walking breaks and pushing myself through running spurts. The last few couple of runs have been on the treadmill at the gym, so I experiment a little more with speed, which has helped me find a good pace. I keep surprising myself with how well I’m keeping my 12-13-ish minute/mile pace on my longer distance runs, and I hope that continues. Now I’m dragging hubby to the gym so I can do my short three miles for the day. I slept in and now it’s too hot to run outside (I’m an Oregonian, what can I say?!). Here’s to kicking off month two of training! We introduced bok choy into our lives about a year or so ago. Why did we wait so long?! This leafy veggie is delicious and really absorbs flavor well in both the leaves and the stalks. This year, we (meaning my husband with the green thumb) took a stab at growing it from seed, and now have a big row of happy bok choy (once we beat the slugs off of them) ready for harvest. I’ve played with variations of this recipe for a while, but this iteration is our favorite. Clean and chop the bok choy into manageable pieces. If you are using baby bok choy, they would be good whole, but I cut the big stems into two or three pieces and chopped the leaves up. Big pieces are best, but something manageable to eat is also important. 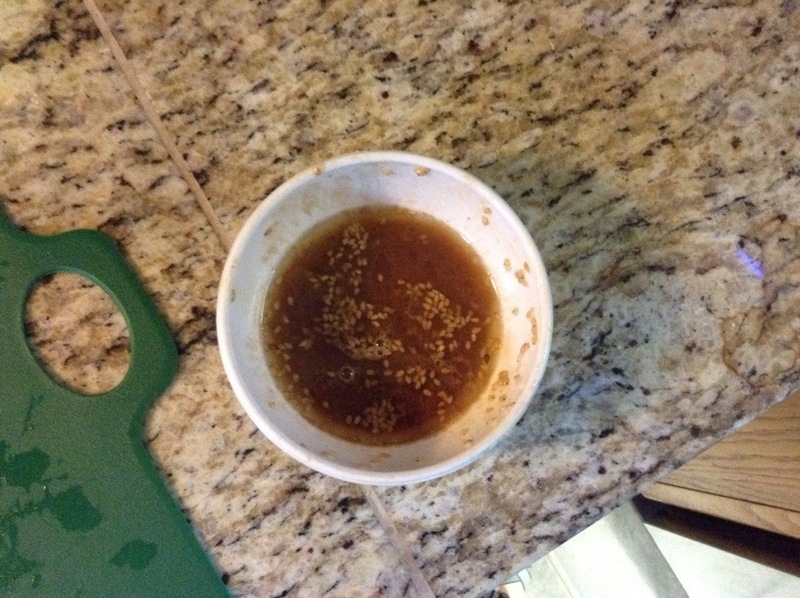 Melt the butter and mix thoroughly with soy sauce. This won’t completely combine, but just make sure that the butter is completely melted. Now, this next part can go one of two ways. You can either prep the bok choy for cooking on the grill, using a grill pan, or cook it in a skillet on the stove top. I like the grill, because you get some char on the leaves, but I used the skillet for today. 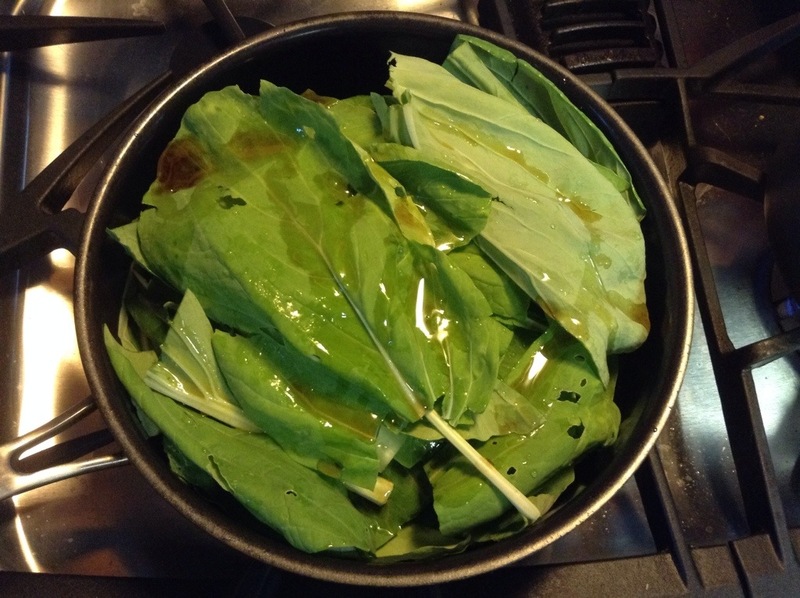 Arrange the leaves and stems in the skillet, trying to spread out as evenly as possible, and drizzle with sesame oil. As I’ve said before, a little of this stuff goes a long way. Heat cooktop to medium. 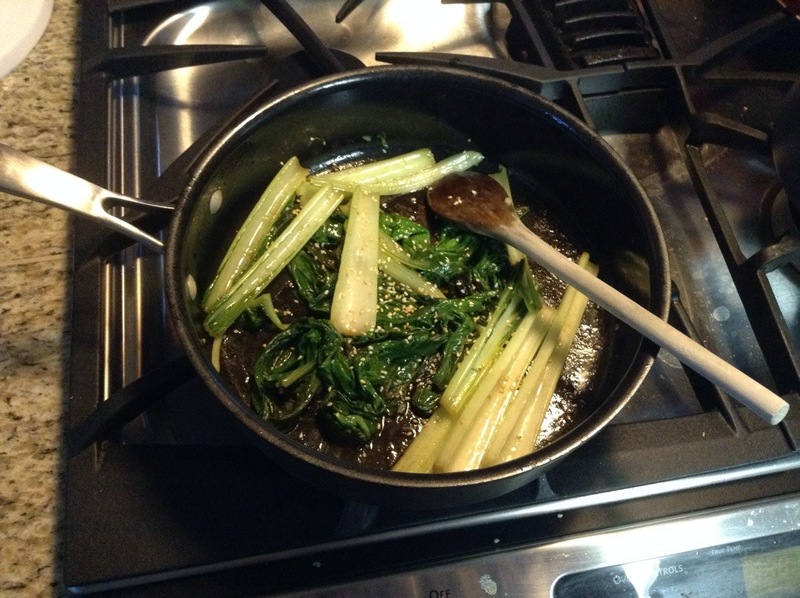 Using a kitchen brush, brush the butter/soy mixture all over the bok choy as it’s cooking. Use as much or as little as you like of the butter mixture, it’s all taste preference at this point. Cook to desired level of tenderness, and sprinkle with sesame seeds right before done. 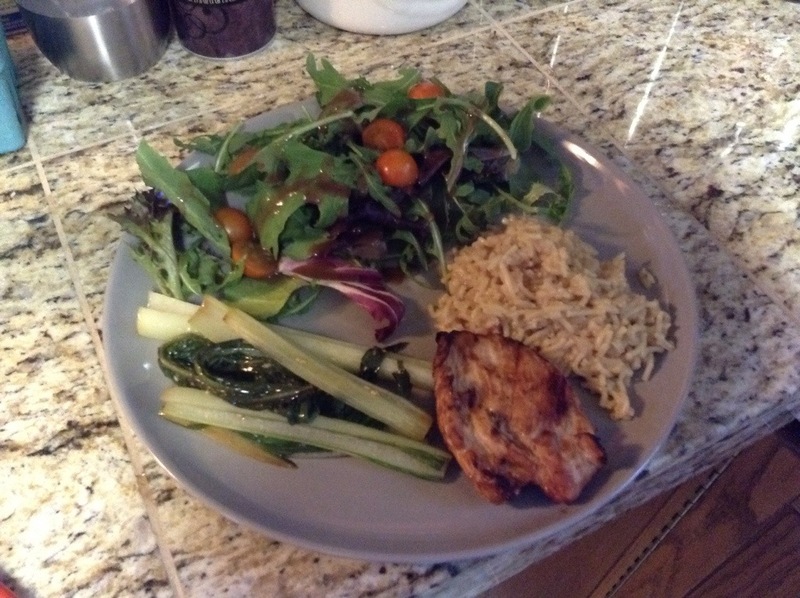 We are ours with my husband’s delicious chicken teriyaki, as well as some teriyaki Rice-a-Roni and a salad. SO GOOD. 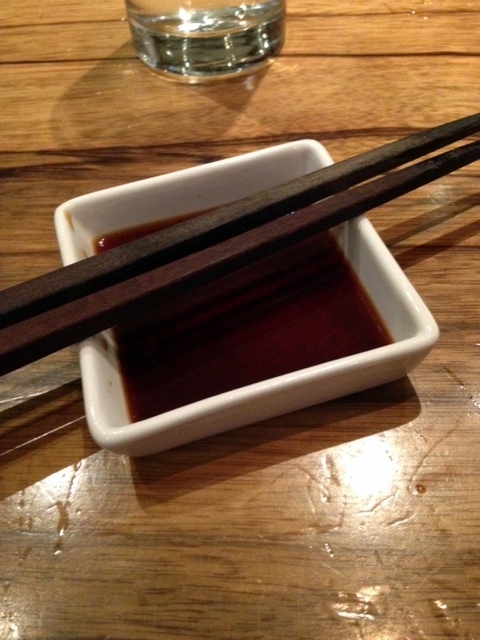 This is good with any teriyaki dish, as it has strong Asian flavor. If you’ve never had bok choy today, this is the way to try it. Trust me. Sorry about the whole “really shoddy picture quality” thing. I’m working on it, really. I’ve heard the same sentiment from many friends and acquaintances this week: you never think “it could happen here.” Until it does. And even then you can’t believe it. 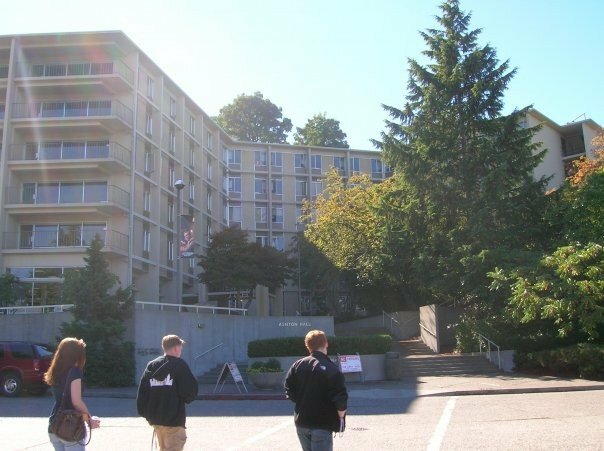 On Thursday, a gunman opened fire in a building on the campus of my alma mater, Seattle Pacific University, killing one student and injuring a handful more. Thankfully, the heroic actions of one student stopped the gunman before the situation escalated further. It could have been much, MUCH worse, had Jon Meis not stepped up and done what we all hope we would do in a similar situation, and taken an opportunity to disarm and restrain the shooter until police could arrive. This was shocking. This was senseless. This has shaken the community that I know and love. I usually refrain from discussing politics and/or religion, saving it instead for the privacy of my personal journal, but this hit too close to home. Part of me thinks “oh, I’ve been graduated since 2010, I should’t feel this shaken,” but this was my home for four years. This was where I learned to be independent. This is where I came into my own. This is where I learned the skills of my profession. This is where I got to experience my last few years of young invincibility, where nothing could go wrong. Where I lived within shouting distance of all my friends, and we stayed up late because we could (and because there was a marathon of Dallas Cowboy Cheerleaders Tryouts on TV). This small, Christian community always felt insulated to me, like any problem could be fixed here. I learned about my own faith here, and learned how to question. I learned how to think. I learned how to be a responsible human being. Anyone who knows this small school knows that once you go there, you are part of a family. You recognize names and faces of everyone in your class. You have an instant bond with other former students. It feels like my community has been violated, violated by this one person who woke up and decided he wanted to shoot up a school. I have many friends who still live or work on campus, friends that had to shelter in place and wonder what was happening on Thursday afternoon. I think about the seniors whose last week of college has now been tainted with this horrible act. The incoming freshman whose families are now worrying whether or not they will be safe. I feel for the family of Paul Lee, who did not survive Thursday. I feel for the students who now have to process the senseless loss of a classmate. I feel for everyone whose courage and faith has been tested this week. But it has been an honor and privilege to see my university rise up in the face of adversity and speak words of forgiveness, of grace, and of healing. My peers have focused not on the horrific actions of the man who shall remain nameless, less he starts to feel some of the infamy he so craved, but on the heroic actions of a few students who said “not one more.” I am in awe of the fact that Jon Meis has not only had his entire wedding registry bought by complete strangers, but now has upwards of $30,000 in a crowd-funded account, just from people who wanted to recognize a selfless act. Whether he ends up accepting it or not, it is well-deserved. Had he not stood up, the death toll would likely not have stopped at one. 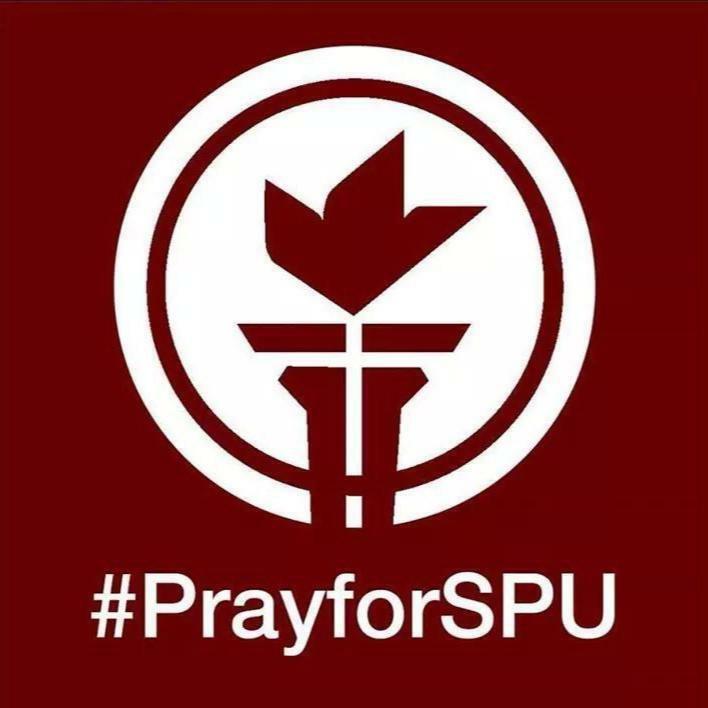 My friends and I have been shaken this last week, but it has also caused us to reflect on the time we spent at SPU. It was truly a blessing, and impacted my life in such a positive way. It helped me to solidify a quiet spirituality and relationship with God, one that does not need to be publicized or boasted, but one that helps to quiet and calm my hectic mind and keeps me focused on what’s important to me. I met some of my best friends at SPU, I was an RA for a floor of amazing girls, and I had fun. I was carefree (as long as it wasn’t finals week). This place has been so many things to so many people, and it is a place that I hold near and dear to my heart. It is my fervent hope and prayer that all of the current students and staff can heal from this, and also recognize the small moments of comfort and beauty in the brokenness. The students comforting one another. Everyone coming together to celebrate a life cut too short, and a young man that showed extraordinary courage in the face of danger and evil. This truly is a special place, and, even though SPU is hurting right now, God is at work there. Good is at work there. This doesn’t need to be about gun control, or about religion, or about mental illness, though all three issues are clearly present. This is about people supporting other people. This is about embracing the family we chose as students of Seattle Pacific University, and about the life we want to live as followers of Christ. This is about proclaiming love and forgiveness. We don’t need to pretend to understand why it happened, but we need allow ourselves to grieve what has been lost and become strong together in our brokenness. I leave you with two photos. First, a picture of three best friends in their first days at college, with their futures ahead of them, and not a care in the world (except maybe a touch of homesickness). We came to this place together, ready to conquer the world of adulthood. To us, SPU was a place of endless possibility. 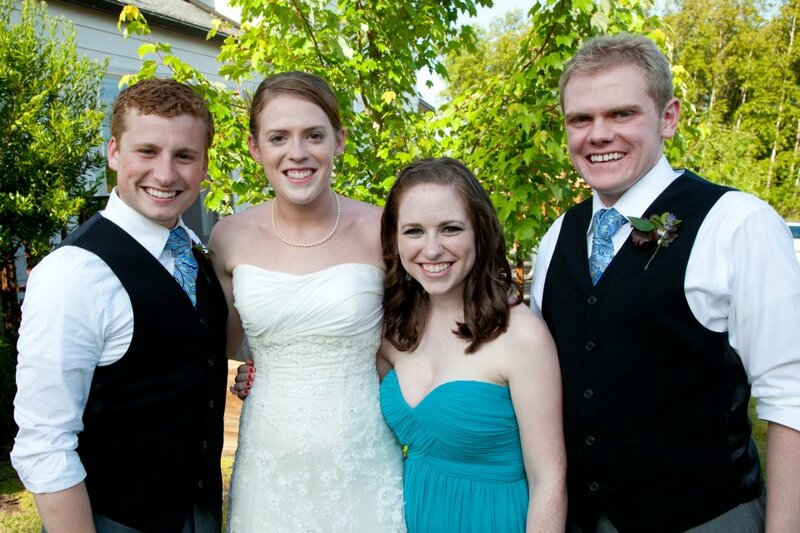 Second, a picture of the same three best friends, plus the fourth who should have been in the first picture (but was probably behind the camera, from what I remember), five years later, five years wiser, better people for having attended Seattle Pacific University.